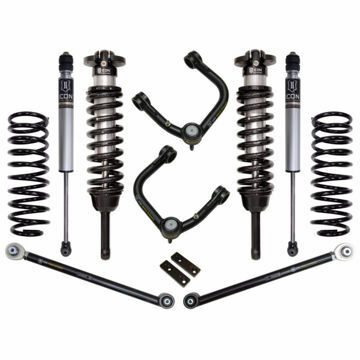 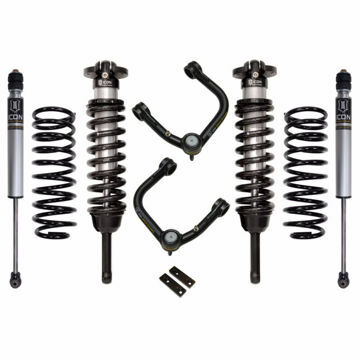 This is Icons entry level suspension system for the 2010-2014 Toyota FJ Cruiser. 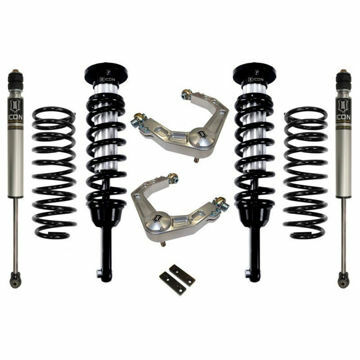 This ICON Stage 2 suspension system for the 2007-2009 Toyota FJ Cruiser uses the same components as the Stage 1 system with a few simple changes and additions. 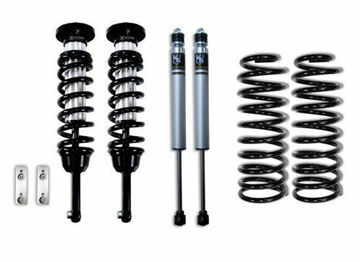 The Stage 3 suspension system w/ tubular uca for the 2007-2009 Toyota FJ Cruiser uses the same components as the Stage 2 system along with adding a set of our Billet Aluminum Rear Lower Links.